Have you been following Orla Month over on Instagram? It’s a little sewalong/ sewing competition run by a few of my favourite Instagrammers and bloggers over the month of July using the free pattern from French Navy – the Orla dress. You can check out more details at these blogs: Allie M. Jackson, Maddie Made This, Maker Style and Anna Zoe. 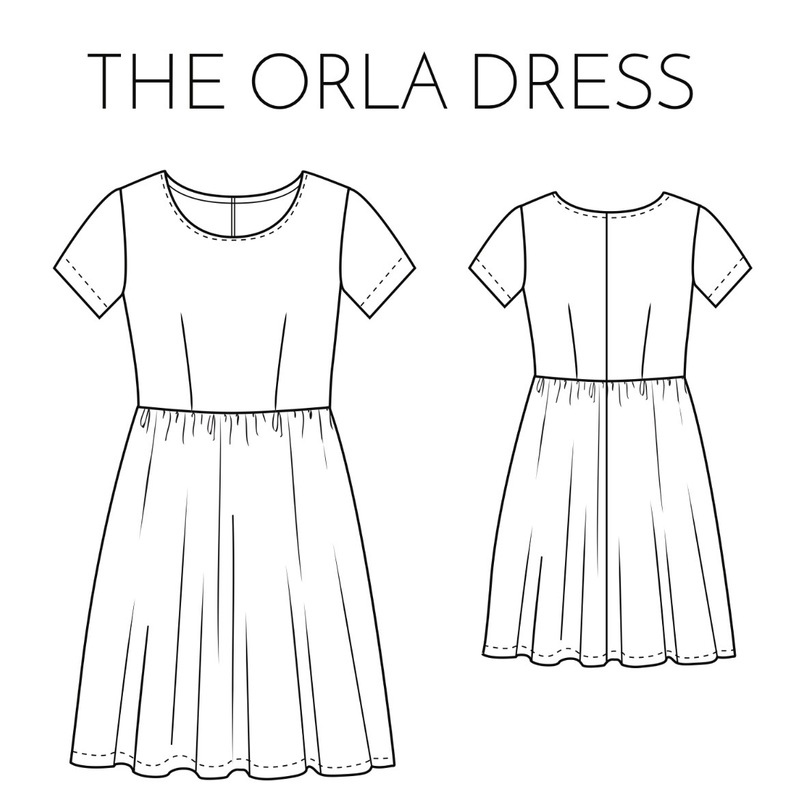 These lovely ladies have made loads of different versions of the Orla dress and have come up with a ton of hacks and designs to inspire your own Orlas! I can’t resist a little competition so I’ve made my own entry! 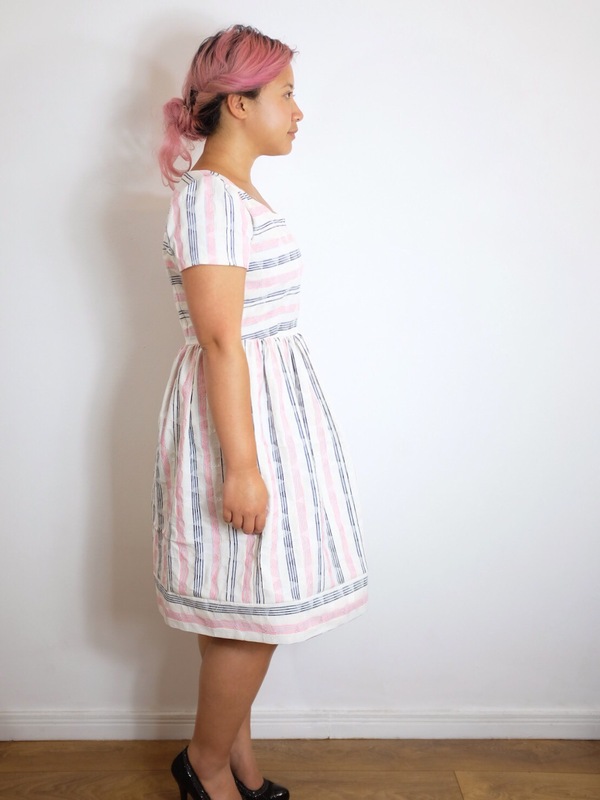 The Orla dress is a really simple woven dress pattern designed for beginners. It has a semi fitted bodice which sits high on the natural waist, a gathered skirt and short sleeves. It doesn’t have anything too fancy going on. I think the point is for it not to be too difficult to fit as it’s meant to be a little loose and casual. I couldn’t decide on how to hack it, if at all and decided to start with the fabric and go from there! I’ve been trying to be good and not buy too much new fabric (I’m failing miserably – don’t judge!) and decided to “shop” my stash for this make! I struck gold though! I found this piece of striped linen (?) that I bought in Barcelona about a year ago. On closer inspection, I actually think it’s an upholstery fabric of some kind… I had initially wanted to make culottes with it but decided the drape was too stiff for the kind of culottes I liked so I shelved it. I had less than 1.5metres of it and no hope of any more, but it was more than enough for an Orla dress! Sizing wise, I graded the bodice between the medium and large sizes, keeping it large across the bust and a medium across the waist which worked well for me. I took in the shoulder by a centimetre on each side to compensate for my narrow shoulders! I definitely didn’t want the puff of the sleeves to be in the wrong place! I decided to vary the stripe direction through the skirt, sleeve and bodice to add a bit more interest rather than let it be just another standard stripey dress. (Tip: As long as you’re aligning your pieces either along or perpendicular to the straight grain, it shouldn’t effect the drape of the dress, assuming it’s a standard woven fabric). I also added in side seam pockets! Though I didn’t measure the placement of them properly and they’ve ended up a couple of inches lower than they should be! I managed to match up the stripes pretty well on the centre back seam which I’m happy about! Usually my pattern matching is a disaster! The fit wasn’t too bad – nothing I’d change on this one but I might make some adjustments for any future versions to tweak the armscye slightly. The panel on the bottom was a last minute addition to contrast the vertical stripe of the skirt which lets it hit just below the knee. I’m not quite sure I’m going to keep it as it makes the skirt a little heavy for a summer dress. I quite like the pattern. Mostly because it’s free. I think it’s a really good basic to have to hand though, much like the Colette Moneta pattern. These kind of styles will always be wearable and great addition to your handmade wardrobe. I’ve got an idea for a potential hack of this pattern – let’s hope I’ve got time to carry it out before the end of Orla month! So pretty! Love the border at the bottom. Yes there is!! I’m so proud of that zip!! 😂. This looks perfect for Girl#2, thanks for sharing! Your version is wonderful, I love the stripes and your use of them as a design element. This looks so good, I love the fabric! Thanks for participating and spreading the Orla word! There is something very summery about this, although I’m not sure I would have compared it to a deckchair! 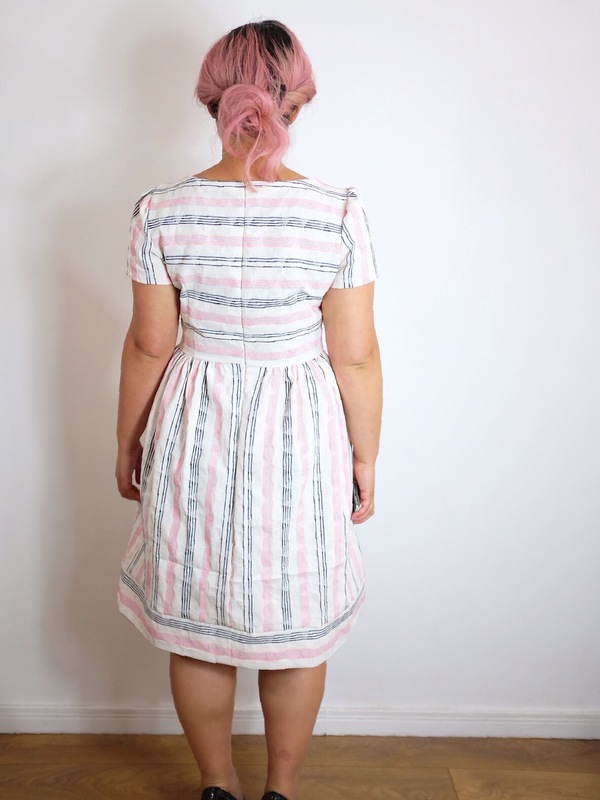 And you’re right, this pattern is totally a woven Moneta. Like Kathleen, I really like the visual balance that the bottom panel brings to your dress – but if it’s too much weight, maybe you could try replacing it with a trim instead? I was thinking of a narrower panel but it kind of needs the width to balance it all out. It’s a tricky one! Then the deckchairs in your life must be a lot more stylish than the ones I have! Pingback: A back wrap Orla hack - Self Assembly Required!